Royal Air Force Coastal Command was the organisation charged with keeping the sea lanes clear around the coasts of Britain for the best part of half a century, from immediately after the First World War until the 1960s. In the decades after the Second World War, John Campbell served as a Coastal Command navigator and crew captain on Shackleton aircraft in the Maritime Patrol role. 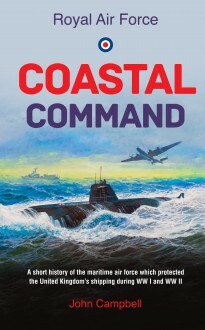 Having studied in great detail the history and development of Coastal Command, he has researched and written this thorough account of its activities throughout its years of operation.